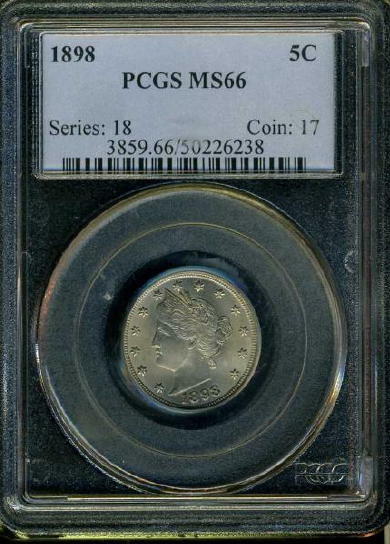 Quote Reply Topic: Liberty Head - "V" - Nickels ... Please post !! From my Avitar you know I collect Barbers, but not everyone knows that Charles Barber also designed the Liberty Head " V " Nickel. 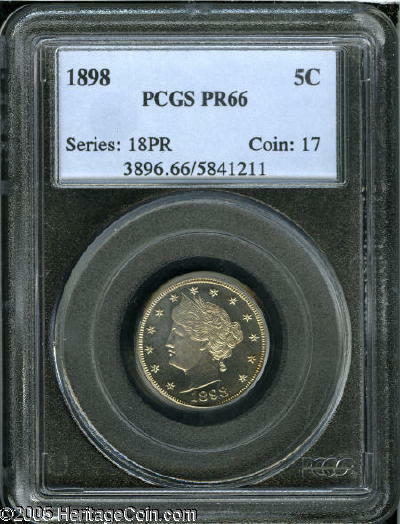 Here's a nice 1885 nickel in PCGS 58 I've added to my colection. I have this coin in AU 55-58 in a raw book - but its been cleaned I'm afraid. Those are some nice coins you got there. I just started putting together my Liberty Nickel set in AU. Very hard. Nice Lib Collection you have there.